It’s easy to pick up food or drinks on your way to the beach to enjoy while basking in the sun, but they may not always be the healthiest. Don’t eat healthy just to look good in that bathing suit, but eat smart to keep your body fueled and strong! We rounded up our 5 favorite smoothies and juices to keep you refreshed and healthy on the beach. Chill out, relax, and enjoy. A healthy juice that tastes like a lemonade?? Yes, please! This is one of the most refreshing juices you can have for a beach day! If you ran late and didn’t get to pack anything healthy for the beach, the Green Goddess is the perfect juice to kick start your day and get your greens in! Refreshing and packed with antioxidants, this makes for the perfect beach smoothie! Do you get in the mood for something sweet and savory while you’re at the beach? This smoothie is the perfect healthy, sweet treat! What’s better than coconut water and bananas on the beach? It’s basically like you’re on your own tropical island when sipping this smoothie. Well there you have it! 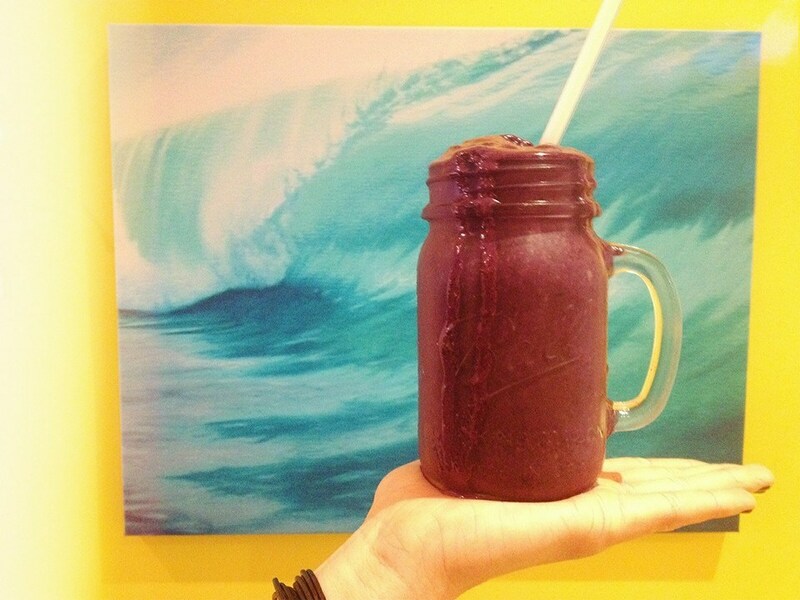 Our 5 favorite smoothies and juices to enjoy while beaching it. What’s your go-to smoothie or juice for a hot and sunny beach day?